On my x86_64 gentoo box, running gnome and therefore pulseaudio, I experienced the problem that when and after playing some flash videos (i.e. youtube) the sound device was blocked and no other application was able to play sound. After killing the plugin sound worked just normal, but that was no convenient way. After restarting alsa everything that is playing sound via alsa now uses pulseaudio via the plugin and the sound device is no more used concurrently. One can playback via pulseaudio after using flash sites or even at the same time. Mission accomplished! Sadly the above only works for applications directly using the alsa sound system. Applications depending on OSS (i.e. 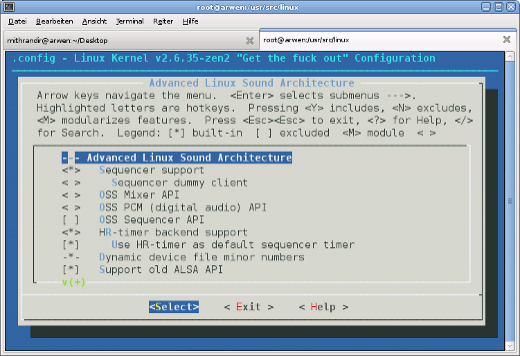 all Java Applications), using the kernel layer alsa oss emulation, still block the audio device, so the the kernel layer OSS emulation is a no go with pulseaudio. Include the corresponding modules in /etc/modprobe.d/blacklist.conf or remove the emulation completely from your kernel configuration. Of course this only shuts off these applications completely but is neccesary for the further steps to work. We´re lucky, we can use a daemon which provides the OSS devices (/dev/dsp, etc.) and links them via fuse to the pulseaudio daemon. 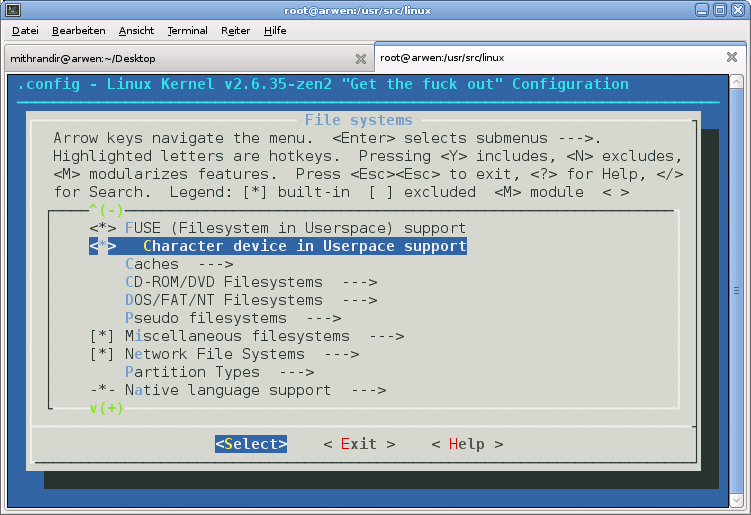 For this we need to load the cuse kernel module (add it to /etc/modules.autoload.d/kernel-2.6 and it gets loaded automatically on next reboot) or when not available add the functionality to your kernel configuration and rebuild your kernel. Be sure to include the following line in your /etc/make.conf. For having osspd started automatically on every system boot I lazily included it in my /etc/conf.d/local.start. Now sound should just work as one expects it to. Different sources can playback at the same time. No blocked devices occur because of concurrency, no matter which sound API the applications use. Oh my god!, I haven’t figured out that damm sound blocking in a very, very long time [/etc/asound.conf], thanks!, it works perfectly.